The 7th Annual Arden Park Youth Triathlon (ages 5-16) was held on Sunday, August 19, 2018 at Arden Park in Sacramento, CA. 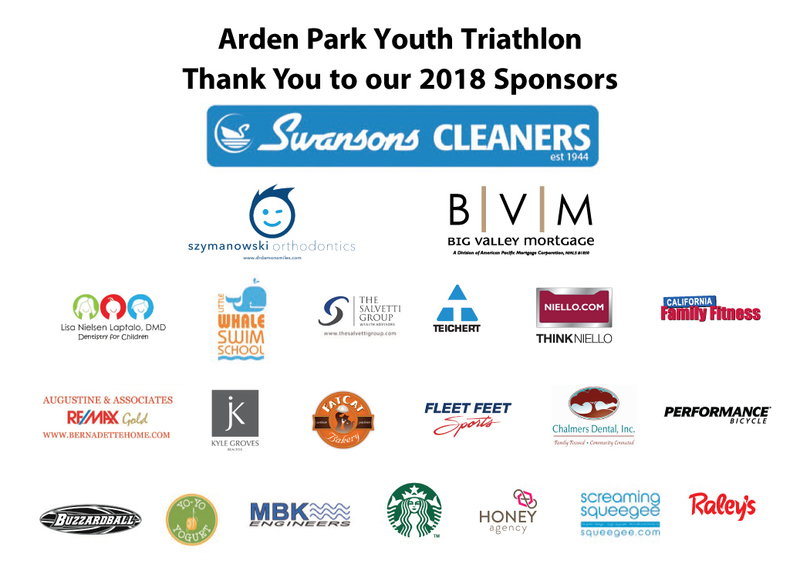 In partnership with the Arden Park Dolphins swim team and hosted by the Arden Park Recreation and Park District, the triathlon is held annually to grow the sport of triathlon among the youth of Arden Park and outlying areas and to promote health and wellness in the community. All of the proceeds from this completely volunteer run event go to support the Arden Park Dolphins Swim Team. The event brings together more than 250 participants, 600 friends and loved ones, 150 volunteers, and countless residents and neighbors who support and promote the event.